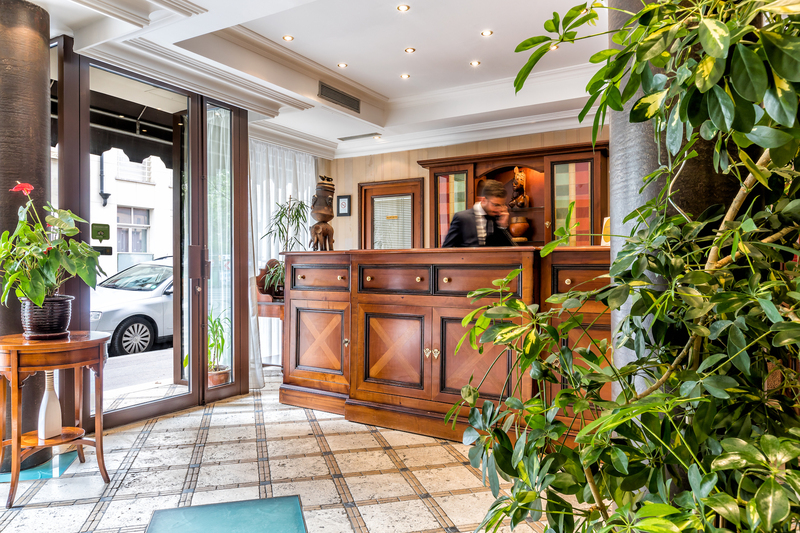 Every detail of the hotel's design has been meticulously chosen to valorise luminosity and create a calm universe in the middle of all the Parisian hustle and bustle. In these rooms of approximately 12 m² with A/C, there is a double bed, a flat-screen TV with satellite channels, a mini bar and a courtesy tray (free coffee and tea maker). The private bathroom includes toiletries and a hairdryer. In these rooms of approximately 14 m² with A/C, there is a double bed or twin beds, a flat-screen TV with satellite channels, a mini bar and a courtesy tray (free coffee and tea maker). The private bathroom is equipped with toiletries and a hairdryer. In these rooms of approximately 16 m² with A/C, there is a double bed or twin beds, a flat-screen TV with satellite channels, a mini bar and a courtesy tray (free coffee and tea maker). The private bathroom includes toiletries and a hairdryer. 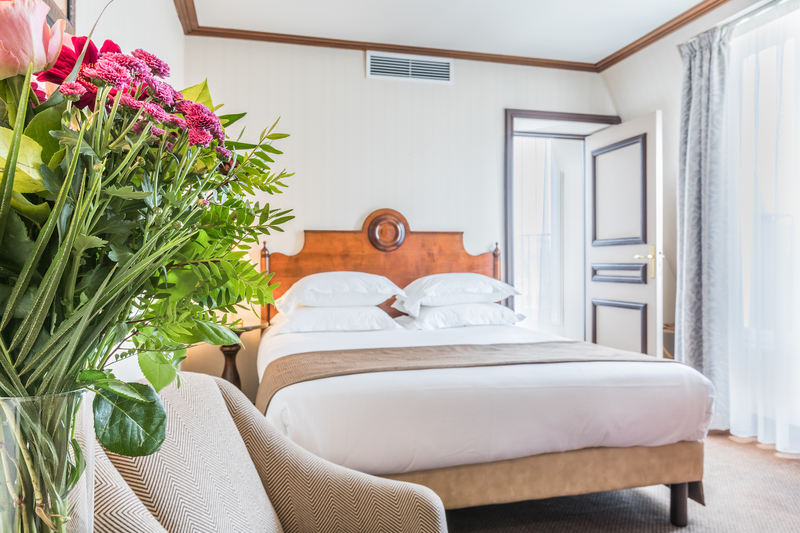 This spacious and luminous suite of 20 m² is equipped with A/C, a lounge area, a flat-screen TV with satellite channels, a mini bar and a courtesy tray (free coffee and tea maker). The private bathroom includes toiletries and a hairdryer. We can enjoy a beautiful view over the Parisian rooftops.